Do you have your own pet? Do you have to take care of the children? Do you want to know what is going on at home,when you are at work or go out for sightseeing? DawnArk WebCam Monitor via Photobucket can help you immediately grasp the present home situation. DawnArk WebCam Monitor via Photobucket from their homes every few seconds will gain a picture of the webcam, and then via the mail server sent to Photobucket. DawnArk WebCam Monitor - help you immediately grasp the present home situation. ...... On the remote computer, or mobile phones with 3G capabilities, you can easily navigate to the webcam from home just which send out the pictures. With these images, you can easily know what is happening now at home. You can set how many seconds, as well as how big change in a value, triggering a send pictures of the action. So that you can control the number of pictures on Photobucket.com. DawnArk WebCam Monitor via Photobucket is a pro version of DawnArk WebCam Recorder indeed. 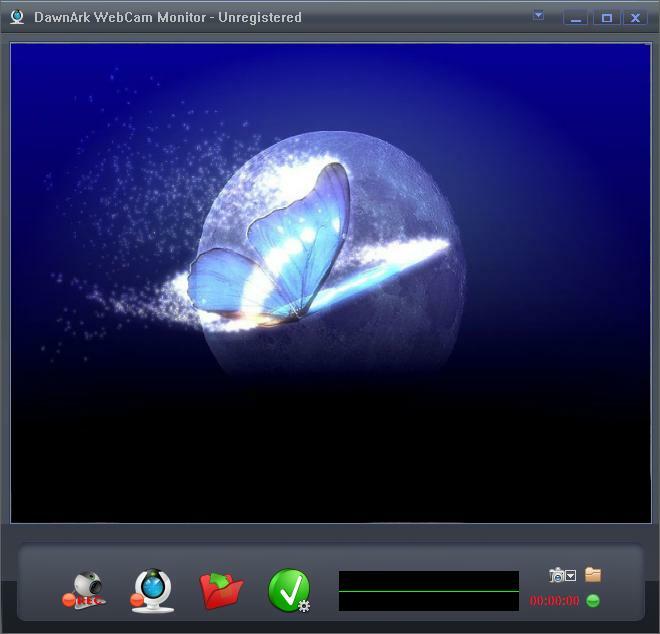 DawnArk WebCam Monitor still can record the webcam video into FLV, ASF, WMV, AVI. You can set some parameters to control the output video quality and size. By DawnArk WebCam Monitor, we believe it will be able to make your life more interesting, more comfortable and simple. Get started now DawnArk WebCam Monitor. Qweas is providing links to DawnArk WebCam Monitor 4.1.18.0216 as a courtesy, and makes no representations regarding DawnArk WebCam Monitor or any other applications or any information related thereto. Any questions, complaints or claims regarding this application DawnArk WebCam Monitor 4.1.18.0216 must be directed to the appropriate software vendor. You may click the publisher link of DawnArk WebCam Monitor on the top of this page to get more details about the vendor.